Worm farming is not new, it has been around for quite some time. There are numerous benefits to be derived from a worm farm. Worms may be sold to fisherman or people who want to compost. Specific breeds of worms are carefully bred and are normally kept in breed specific quarters. Many of the worms that are raised in worm farms are used in composting. Landfills and garbage dumps utilize worms which were raised by worm farmers. Certain worms may also be used to fertilize the soil. As worms dig through the ground, they aerate and stir up the soil carrying water along. The “worm poop” that is created is high in nutrients and fertilizes the soil. A wholesome soil is then produced for better growing plants, vegetables and crops. 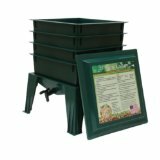 In recent years, the supply of worm farming equipment and accessories makes it simpler for individuals to make a hobby of this technique. Household sized bins are on the market in a variety of shapes and sizes. Home owners and apartment dwellers are given the chance to raise their own worms for waste compost and soil fertilization. All that you will need to feed the worms in your worm farms are the fruit and vegetable scraps you would ordinarily throw into the garbage. You can also feed the worms newspaper, egg shells and hair. The waste product that the worms leave behind is called worm compost or vermicast. Worms are also farmed for bait. Worm farmers supply many bait and tackle shops with all the worms that fisherman can use as bait. Make sure you choose the species of worm that is best suited for the job. Some worms crawl close to the surface, others dig down into the soil. 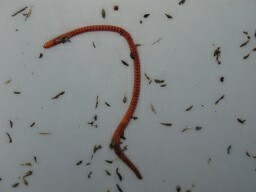 Red wiggler worms are generally used for composting while the Belgian worms are great for both composting and bait. Home owners looking for worms to keep in lawns and flower beds may find success with Night Crawlers and Wigglers. Worm farming can certainly be an excellent educational tool. Because a worm bin doesn’t take up much space a small worm bin could easily fit in a classroom. A worm farm provides a practical experience for the kids to learn about composting. Using natural methods for composting and reducing waste in landfills is easily demonstrated by classroom worm farms. Worms can be farmed practically anywhere. With the various systems available on the market today, home owners can raise their own supply of worms outdoors or in an apartment. The variables that must be controlled in a worm farm are the temperature, moisture, light, bedding and the type and quantity of food. In return, the reward will be a natural way of composting without filling up local landfills. Go to Red Wiggler Composting Worms to find out more. A worm farm is an excellent way to recycle leftover scraps and other household waste. Worm farming can be done by anyone. The worm castings (vermicast) that worms produce are a wonderfully rich soil that is used on gardens, lawn and plants. What are the major benefits of a worm farm? It is a great way to recycle waste, it enriches gardens and plant soil, it provides other animals with food and it is an excellent project to do with the kids. Having a worm farm is a way to recycle food scraps and other non-food waste. Fruits, vegetables and starchy food scraps like bread, pasta and oatmeal are good to feed the worms. Hair cuttings, leaves, paper items, cotton rags and soaked cardboard are things that can be fed to worms. About one-third of household waste can easily end up being recycled by worm farms. This is one of the greatest advantages of a worm farm. A worm farm will produce a wonderfully rich soil that benefits gardens, plants, flower beds and lawns. Worm composting is like a wonder-drug for growing things. Plants and gardens flourish with this worm compost (vermicast) from the worm farm. In turn the economy will get a boost by selling equipment and other supplies that will be needed in order to maintain land on the farm. An important factor with a worm farm is that you are getting a soil free from chemicals. Many other products on the market that you buy have been treated with chemicals. Many animals depend on worms for food. A worm farm complements chicken farmers, catfish farms, birds and many other animals. 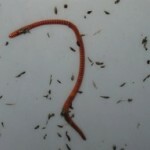 Fishermen can use worms for fishing which in turn puts food on their table. A worm farm is a great project to bring the family together. The kids will love getting their hands dirty and helping their parents recycle. In addition, when the kids need a project in school a worm farm is a terrific project that they can take to school and share. As you can see, a worm farm has numerous benefits. Both for the environment as well as for families. It brings people together to share ideas. Groups are formed to tell their experiences and dealings with worm farms. People in other countries are familiar with worms and eat them as regular food. It’s really interesting when you start to look beyond the usual and see how much worms and a worm farm really helps the environment.